The World’s greatest poker player, Phil Ivey, has taken the World Poker Tour by storm with his skill. With five World Series of Poker Tournament wins before he was 30, Ivey has amassed a huge personal fortune and is the toughest player to beat on the world poker circuit. Phil Ivey started his professional gambling career early, and at just 23 won his first World Series of Poker title, beating legendary poker players Phil Hellmuth and Amarillo Slim at the Pot-Limit Omaha in 2000. By the time he was thirty years old, Ivey had won five World Series of Poker Tournaments. Ivey has amassed a huge personal fortune of over $14 million in tournament winnings and is considered the toughest player to beat on the world poker circuit. One of the toughest players to beat on the world poker circuit, Ivey’s strongest hands are considered to be No-Limit Hold'em and Seven Card Stud. Always in the top ten list of the world’s best poker players, Phil Ivey is always a crowd pleaser, his trademark look is a baseball cap and baseball jersey. In 2005, Ivey made the Black Enterprise magazine "The Hot List: America's Most Powerful Players Under 40”. Considered one of the best all-round poker players in the world, Ivey is youngest player in history to have won seven bracelets. This professional poker player also likes sports betting – his favorite teams are the LA Lakers Houston Rockets and Buffolo Bills - playing golf and video games. Like other gambling great Bill Benter, Ivey is generous with winnings and donates to charitable causes. With his mother, Ivy created the Budding Ivey Foundation, a non-profit organization that aims to continue the work of his grandfather, Leonard "Bud" Simmons, giving education, inclusion and opportunity for the underprivileged. Unlike most professional gamblers who shy away from the spotlight, Phil Ivey has his own website! 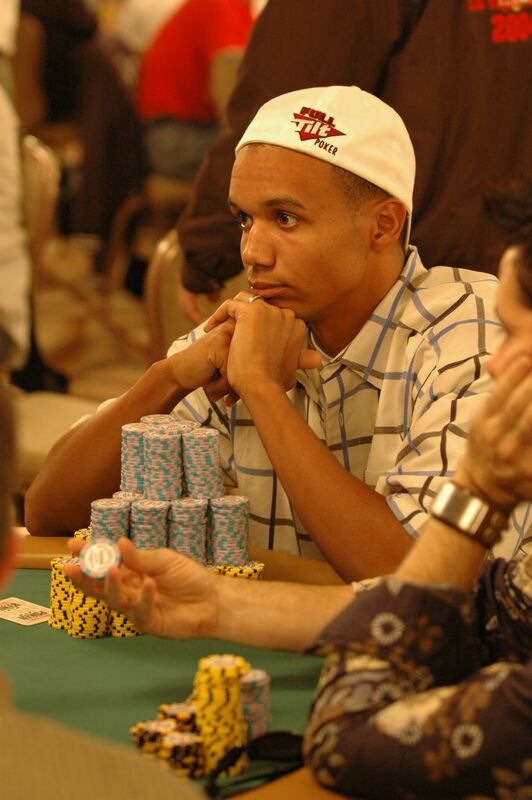 A profile of professional poker player Phil Ivey, including recent tourment placings and photos. Phil Ivey sits no 1 of the Top 100 Money Makers list.